When an employee, former employee or a competitor is caught stealing confidential, valuable business assets or violating restrictive covenants, our Trade Secrets, Computer Fraud & Non-Competes attorneys stand ready to help our clients protect, preserve and recover their property. We also work aggressively to defend our clients against such allegations because we understand the potential damage to their reputations that can occur when trade secret infringement allegations arise. When violations occur, our attorneys seek injunctions and work collaboratively with law enforcement personnel, including the U.S. Attorney’s Office, FBI and local authorities, to pursue criminal charges against alleged wrongdoers. In addition, we work with private investigators to investigate and recover highly sensitive and valuable information. Our experienced litigators also regularly and aggressively defend individuals and companies who have been accused of violating covenants or stealing, using or disclosing confidential information. 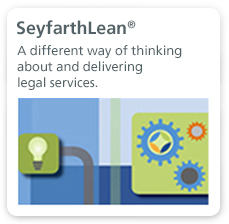 Our experience representing both companies and employees as plaintiffs and defendants gives us a balanced, practical approach to delivering effective solutions to our clients. In the last decade, our team has handled more than 150 trade secret cases, either under the federal Defend Trade Secrets Act or under state law. We are able tap the resources of our expansive national platform by working with our eDiscovery & Information Governance team to ensure that our clients are properly preserving, assembling and recovering information necessary to build their case. Our national practice also enables us to maintain an unparalleled database of state-specific research, briefs and other documentation that gives our clients an added edge. Clients hail from a wide variety of industries including financial services, technology, healthcare, insurance and business services. Many of those clients seek us out to develop and execute a variety of preventive measures including audits of existing trade secrets and intellectual property, confidentiality, non-compete and non-disclosure agreements, electronic information protection systems and other trade secret protection policies and employee training practices. Likewise, we work with our clients to manage employees’ use of social media to avoid inadvertent disclosures of company trade secrets or confidential information on the Internet. Finally, we recommend innovative and proven strategies to shore up weak or non-existent protective measures and negotiate more effective agreements with business partners and allies. 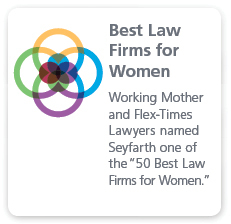 Seyfarth’s Trade Secrets lawyers have extensive experience representing both companies and employees in restrictive covenant matters, and have likely seen every possible variation and nuance in restrictive covenant law. Our attorneys represent companies in virtually every industry, from financial services to telecommunications, and prosecute all forms of covenants or defend against accusations that our clients imposed an unfair restrictive covenant on an employee. 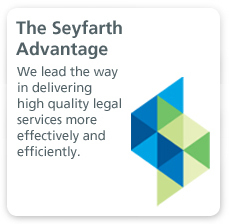 We also work diligently on behalf of employees and companies that are accused of violating an agreement. In our Restrictive Covenant Review Program, a client’s hiring agreement is reviewed by attorneys who are up-to-date on the law throughout the country. This review/analysis frees clients from having to stay on top of compliance strategies, while still achieving the company’s goals. A law blog on trade secrets, non-competes, and computer fraud.